Be a big baller, shot caller. Go sportsball, get the ball in the hoop and do the thing! 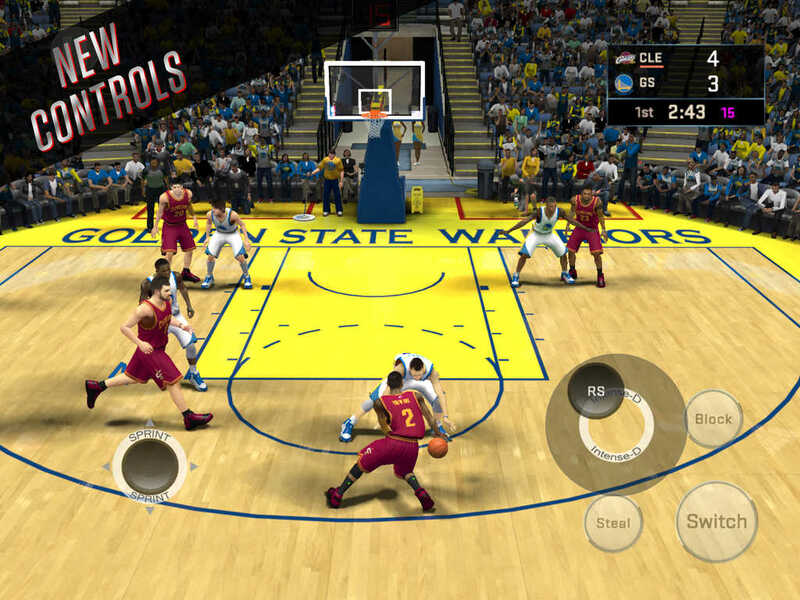 If this sounds like something that's up your alley, you should pick up NBA 2K16, an official full NBA release for iOS by 2K Games. You'll earn Virtual Currency, play through the MyCAREER mode, and do all kinds of neat basketball stuff you could probably have done last year. Honestly, they may not have even changed a thing. But there sure is a lot of basketball. What I can't figure out is why you'd really want to play this verison, though, oer the console one. The on-screen touch controls are a little too iffy for me to consider them a success when the console game brethren are so broken. It's a bit choppy as well, with framerate that you'd think has been vastly improved on the iPhone 6. But it's got everything you could ask for as an NBA fan, so if you do pick it up hopefully there's a patch in the works that solves most of these issues.